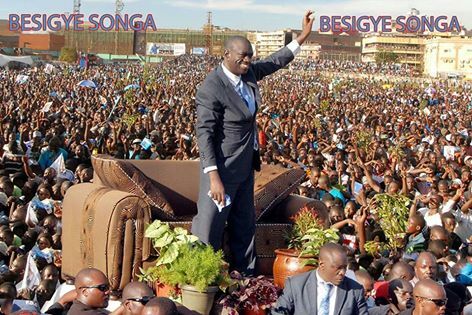 I haven’t written much about the FDC rallies and People’s President Journey through the election even if he has gone from crowd to crowds in any district. He has come in by-passing because of the main events. Even if I am genuine admire of his politics and his swagger in public eye. That’s because it been peaceful. Though the crowds and speeches deserves coverage, though my last piece was about his visit to Abim Hospital that also made the government look naked. A real power move by the Presidential Candidate; if not for that piece he has not been in main focus because Musveni and Mbabazi campaign trail has made more fuzz or more noise. 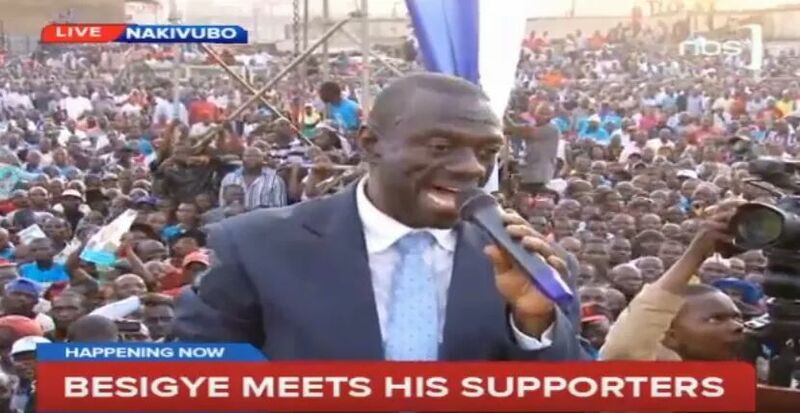 Though it might not be as fruitful I still have felt the importance of it, even if it isn’t justified with the momentum that Dr. Kizza Besigye have for the moment. 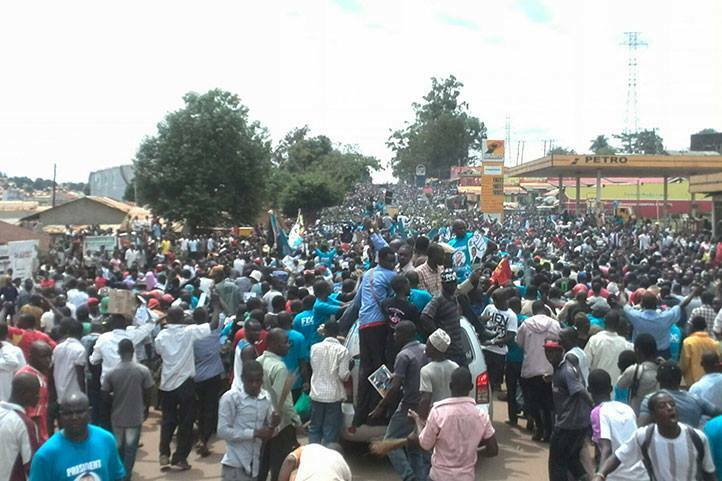 Today I will talk about one report and what happen in Hapuyo Trading Center in Kyegegwa district where the District Police Commander Joel Tubonane claimed to the public and organizers that the venue and rally was disturbing the Trading Center and wanted the rally out of the road. He commanded them to stop the rally. The people answered him with chasing him away. 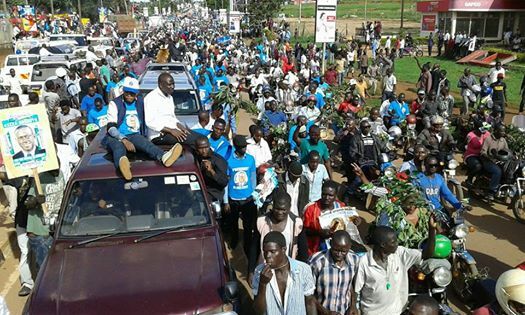 So that Dr. Kizza Besigye holds his rally in Hapuyo. The ironic part of the statement of the DPC was that there were no visible cars in the road or traffic to interfere with the rally in the town. 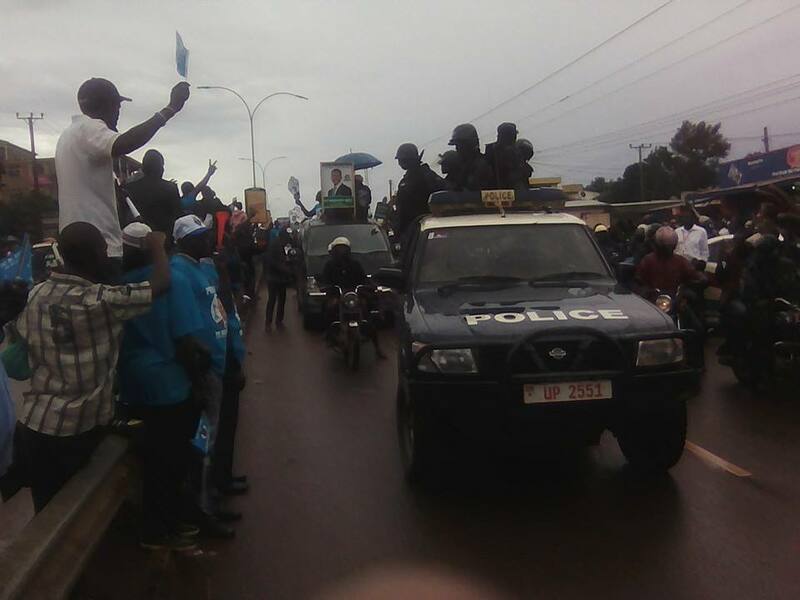 The great issue about this is that FDC has given the Electoral Commission and Uganda Police Force its Campaign rallies plan and harmonized it after the laws that they have at their disposal, this has given way for the FDC to have rallies in the areas as they have accepted by the EC and UPF. 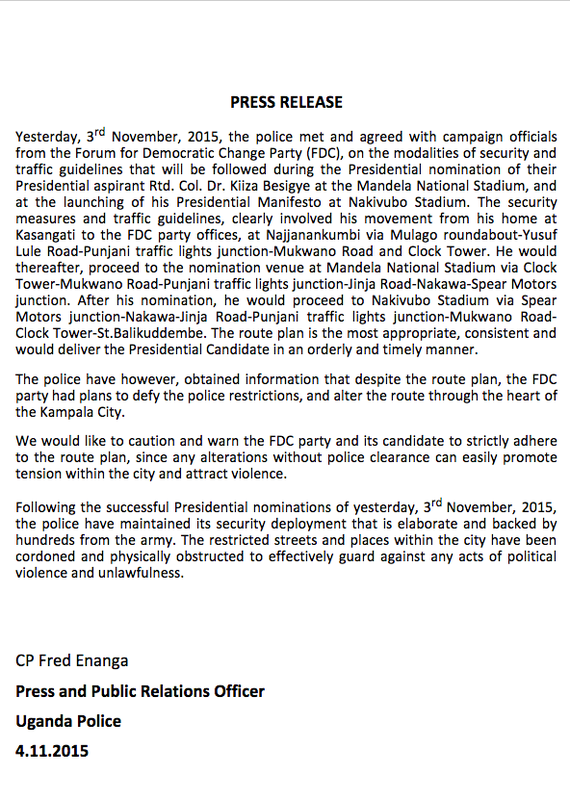 Which should in effect give way for the FDC to do as they have already complied to the law to have these events, this is also into the famous Elections Roads Map that is the guideline that IGP Kale Kayihura spends time dreaming about when he crashes a event claiming it is not entitle in it It seems that the DPC Tubonane has the same ability, though not the same power or man-power in his district to do something about it. 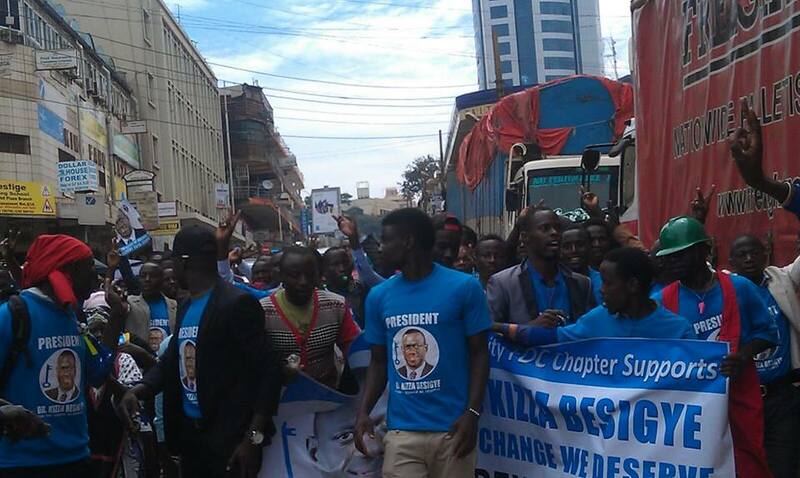 If he did he would violate the words of his boss and make him a hypocrite; that wouldn’t be surprising looking at the outcome of Amama Mbabazi rally in Ntungamo yesterday. That is in the same Election Road Map. I wrote about it yesterday, will not spend more on it, until the numbers and actual violence get more painted on the canvas I can’t describe it no more. Though I will say yesterday was unjustified actions from the NRM, period. 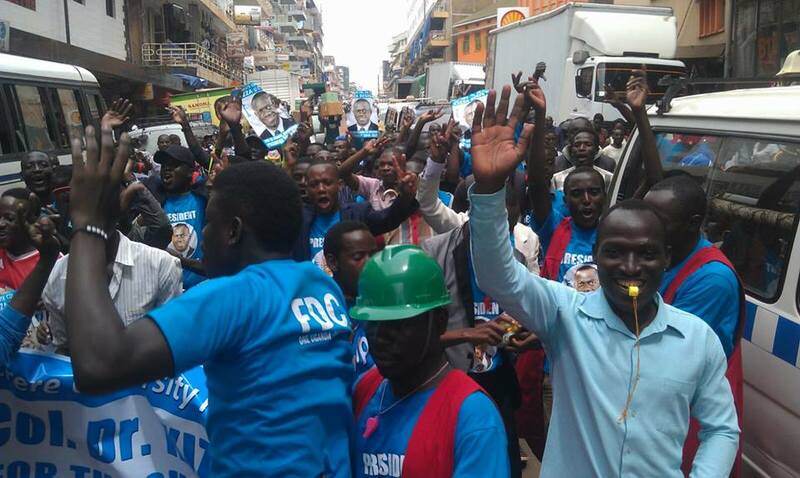 What happen today was a reaction to the reactionary DPC who thought by his mere presence would dissolve and abolish the planned rally of the FDC. Like on man and his words would do so. He would by that violate the higher powers that have for some reasons allowed them to do it. 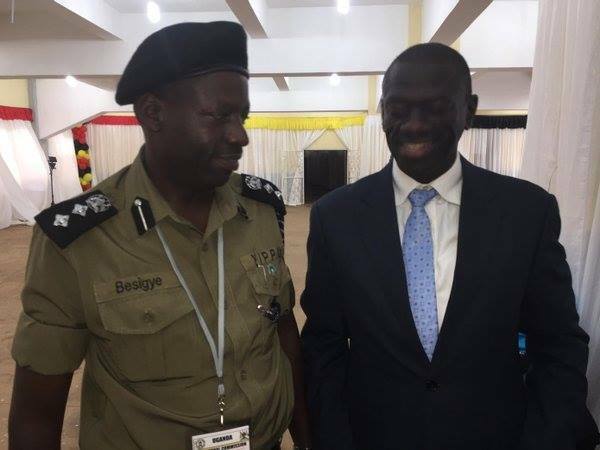 That’s the like Dr. Badru M. Kiggundu and IGP Kale Kayihura, the last one his boss. Instead of trying to force them away from the trading district he should have facilitated the planned rally. Not that he would do so, they doesn’t feed him like the loyal crony who hired him for the DPC position IGP Kayihura. Therefore his loyalty is to the NRM, even if the Police is supposed to be as the ARMY a units who are not participating in political activities, even if the latter has Parliamentary Members. That is just me commenting on the foolish reasoning of non-partisan army, which the UPDF is not, so why should the UPF not be loyal to their leader IGP Kayihura who gladly takes parts of great NRM events like recent ones on Kololo in November, and then we know that he will not judge against his own. That is why IGP Kayihura uses the Public Order Management Act to justify actions against opposition parties and activities in every turn that the Police throw tear-gas and tear up venues where the FDC and Go-Forward shows up. This did not happen today, it is just to prove their viciousness. The actions of the normal police activity; it’s a reason why I am so blunt about it. That the DPC Tubonane in Hapuyo Trading Center was acting as the mouthpiece of his peers. And for those who have followed the UPF and their actions it’s like a déjà vu. We have heard it all before and it was expected. What was unexpected was the reaction to the Police Commanders wishes of skirmishing the venue and street on his own; because the people reacted to his ways and got him away. 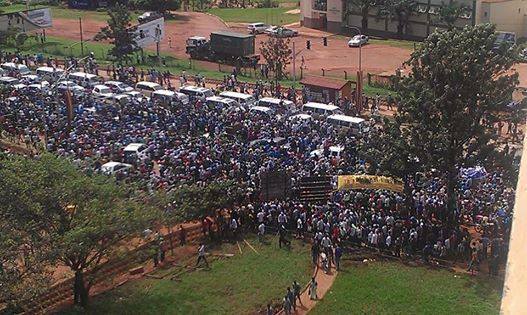 That gave way for the FDC to have a rally in the town as planned. Though I wished he walked away freely instead of being chased away. They still proved some humility by not doing anything more. And the DPC Tubonane could have gotten his fellow comrades and retaliated and instead didn’t put up his equipment. That is something we also could have for-seen but that didn’t occur today and we can be happy about that since there been enough innocent people who has been hurt in rallies and consultant meeting in 2015 alone by the powers of UPF. We could have seen more violence today if the DPC Tubonane had acted against the people who sent him away after threating to close the rally in the trading center. He could have gone and made hazard. 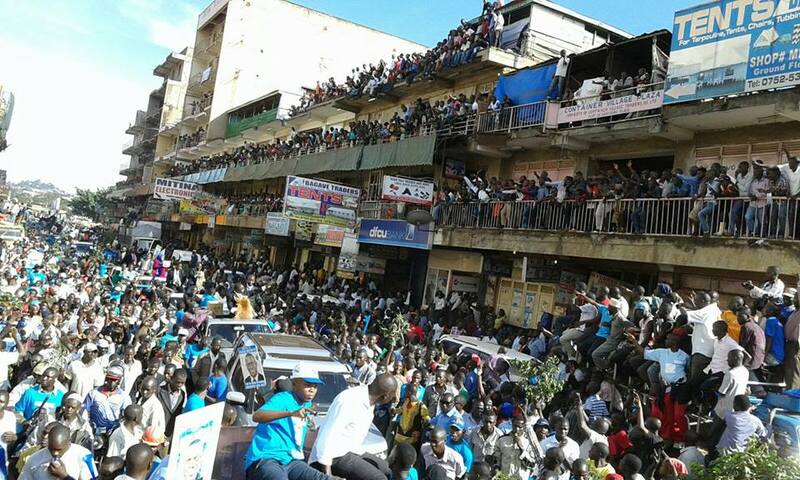 Instead nothing happen and silent ordinary rally happen in town where Dr. Kizza Besigye held his speech and travelled on to the next district of the day. We can be happy about that, though sad that the DPC had to go to these ways to prove his power, though he lost it when the people of the town weren’t buying it. We can be grateful for their resilience and really living by the force of defiance against the governmental forces that are holding them in invisible chains, by the long-serving NRM-Regime. Surely not the reports Mzee want to hear in his ear in Saudi Arabia, well, he can’t always be pleased. Peace.